Since July 1965 Faro Airport (code IATA: FAO) has undergone rapid development supported by, and in order to meet, the explosion in international tourist demand in the region. Faro is currently the main tourist airport in Portugal. With its modern and functional infrastructure, Faro Airport provides high quality services for the Algarve and the Spanish province of Huelva. Most traffic from Faro airport is domestic and European. Two airlines keep in Faro currently a foothold: Ryanair and TAP Air Portugal. Besides Ryanair, numerous other low cost airlines such as easyJet and Germanwings perform regular connections from the capital of the Algarve. The airport has two runways called 28 and 10. The airport has one terminal with six boarding bridge. 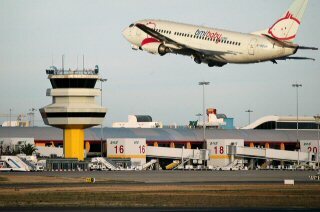 Currently the airport is in the process of expanding planned to be finished by the end of 2013. The ultimate goal of these works is to allow increasing the number of 22 to 30 movements per hour, creating 11 new parking spaces for aircraft with capacity for new wide-body aircraft (such as Boeing 747s), and an expansion of current processing capacity of 2,400 to 3,000 passengers per hour. Altogether it is expected an increase of airport capacity from 6 million to 8 million (currently used capacity is located in approximately 5.5 million). The national road N125-10 connects the airport and the N125 which in turn connects to the city of Faro. This access has been improved and now appears with two lanes in each direction, with running the length of the current N125-10 to give link to East Algarve. There is a single connection by public bus from Faro Airport and the city (Avenida da Republica). This connection is made by the company EVA. The first row is carried out at 7:08 and at 21:17 latter having a duration of 30 minutes. The airport has a taxi rank located outside the front door of the airport arrivals. The redevelopment project Faro International Airport provides a future connection via light rail to the city of Faro. 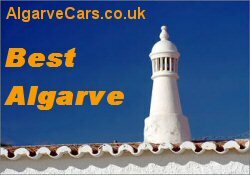 There are a good offer of Car Rental companies at Faro airport, from where you can collect your rented car and travel throughout the Algarve. 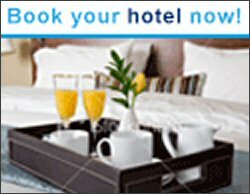 It is highly advisable to make car hire reservations online in advance to guarantee availability on arrival. There are also transfer companies that provide shuttles from the airport to holidays accommodation and vice-versa. Here again it is advisable to make bookings in advance so you don't have to wait and have the transfer available when your flight lands. Faro airport is served by a good selection of low cost flights. Select online your Faro flight and also you Faro accommodation along with your car rental reservation for Faro airport and enjoy a stress free holiday in the Algarve. Some renown international car hire companies, like Avis, Hertz, Europcar, Enterprise, operate at Faro airport along with other local car rental companies. The rental cars are mainly delivered at Faro airport car park, althouth some companies have their own depots near the airport and transport their customers in a bus to collect or after drop off the rented cars.